Mini masterpieces, one nail at a time. Understatement might not be the first thing that comes to mind when you think of nail art, but in (and on) manicurist Madeline Poole's hands, even the most out-there designs (mini eyeballs, paisleys, coral-hued flames) look downright chic. Known for her laid-back approach and intricate detailing, the art-school grad started painting nails six years ago, she says, "because at the time, there wasn't the type of nail art that I wanted to wear—something simple and cool, more like 'tomboy' nail art." Now, as Sally Hansen's global color ambassador, she spends her time shellacking models' digits during Fashion Week, traveling the world consulting on lacquer trends, and tending to her wildly popular @mpnails Instagram feed. Here, she takes some time out to help the rest of us polish our skills. What entry-level design is best to try at home? Polka dots are superduper easy. You can use anything that has a round end, like the end of a paintbrush or the tip of a toothpick—we used a nailhead at the Adam Selman show. You dip it in a puddle of polish and gently tap it onto the nail, and it makes the perfect circle. Painting a leopard print is also really easy to do on your own because it's almost like a series of mistakes. What helps a paint job last? Sally Hansen Miracle Gel kind of changed my life, because it wears really well. I don't like what regular gel does to your nails, and I like to be able to take my polish off immediately if I want to. To make polish last longer, wipe your nails with remover or alcohol before you start to make sure that they're free of oils. Ever brush on polish and see it separate and bubble? That's a sign of oil residue, and that will make your polish chip really fast. You also want to use care when applying the topcoat—wherever it is, that's where it's going to protect and seal in the nail color. When chips do happen, how can I fix them? Take a little buffing block and lightly smooth down where the chip is to level out the surface. Then take the color and blob it into the area that you chipped. Let it dry, and then do another thin coat over the chipped area, and then a clear topcoat over that. I've fixed many six-day-old manicures just by filling in the tips like that. 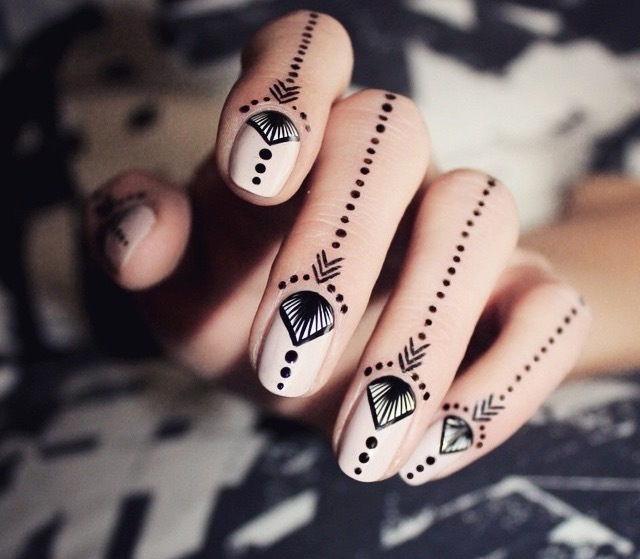 Another cool idea is to do a pattern on top or a different-color tip to cover the chip. How can someone who's not a mani fan keep her nails presentable? Rather than clipping the nails, I like to keep files in my bag all the time so that I have some to grab. If you straighten out the shape of your nails every few days—make sure there are no jagged little bits; that's how you end up snagging—there will be less breakage. Regardless of whether you wear color, it's good to wear some kind of clear growth treatment to thicken the nails so that they're not brittle or weak. And if you don't want to use cuticle oil, make a homemade hand scrub of sugar and olive and coconut oils to exfoliate skin and moisturize the nail plate. 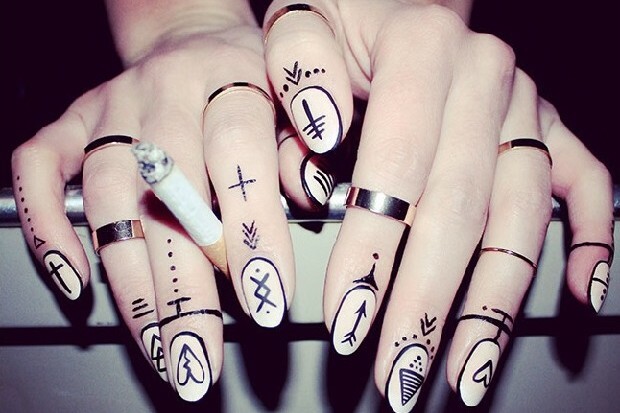 What do you predict we'll all be wearing on our nails this spring? Definitely blush tones and dirty, dusty pinks with little pops of yellow and bright neons—but not on the entire nail, just on the tips. I'm also seeing a lot of sporty collegiate stripes for spring: classic varsity color combinations—red and royal blue and Kelly green.